At any point during your design or prototype workflow, you can share your work online with clients, coworkers or stakeholders, and even get feedback from them directly within Adobe XD. 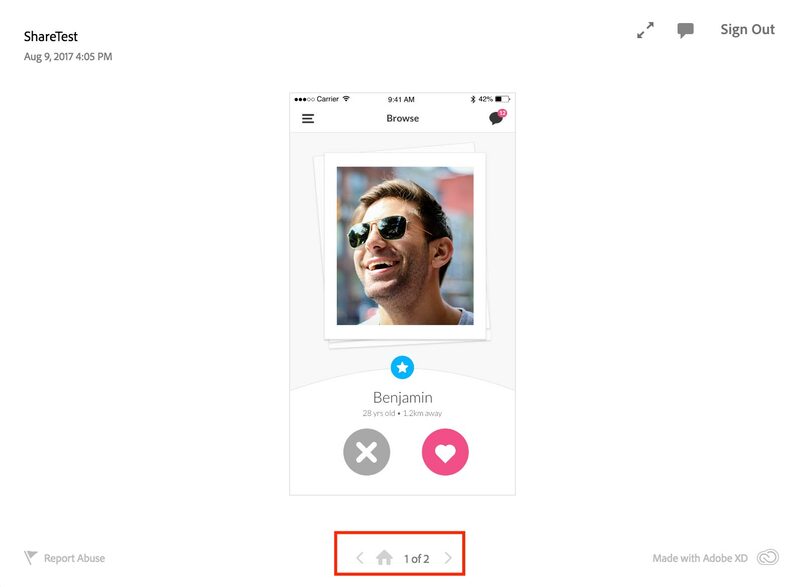 To share your designs and prototypes, click on the share icon located at the top right of the screen. A little “Share online” popup will be displayed. Now choose a name and an image for your project (if you want) and then click on the “Create link” button. A special link will be created for you in a few seconds, which you can copy and send to whoever you want to review your work (there is also an option to embed your prototype in your own website). Once the reviewers click on the link, they will be able to see your project in their browser. 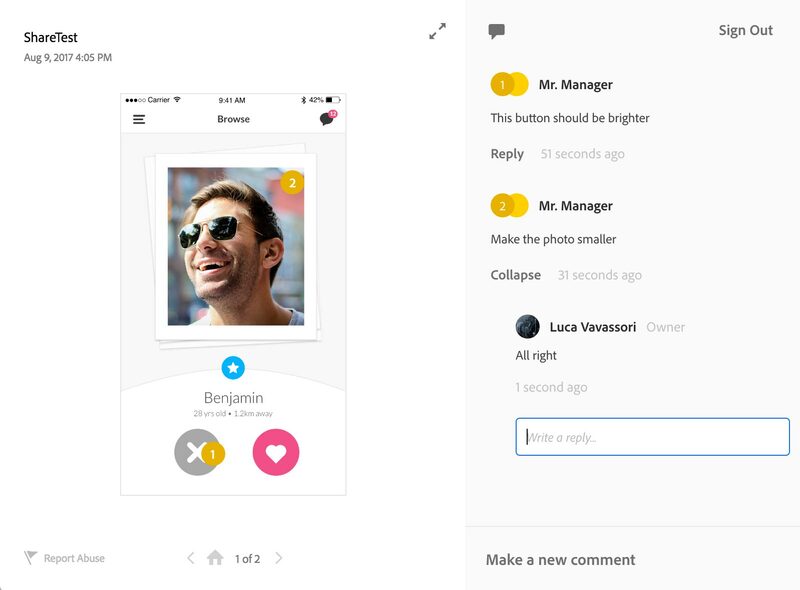 • If shared a prototype, the reviewers will be able to interact with it. Active hotspots will be displayed when they tap anywhere on the artboard. The reviewers can also provide feedback by writing their own comments, using the dedicated section on the right side of the screen. When reviewers write a comment using the textbox at the bottom right of the screen, they can also pin that comment to a specific area of the design. They just need to click on the “Pin to artboard” link and click on the area of the artboard they want to pin their comment to. By using pins it will be very clear to understand which areas of the design they are referring to. Reviewers can write a comment by either logging in with their Adobe account or writing it as a guest (in this case they won’t be able to edit or remove their comments once the current session expires). Whenever a comment is made, you will receive a notification in the Creative Cloud taskbar, and you will be able to read it by clicking through to your prototype page. There you will be able to reply to the comment, mark it as resolved or delete it. You can manage all the designs and prototypes links you have shared by clicking on “Manage links” in the “Share online” popup.